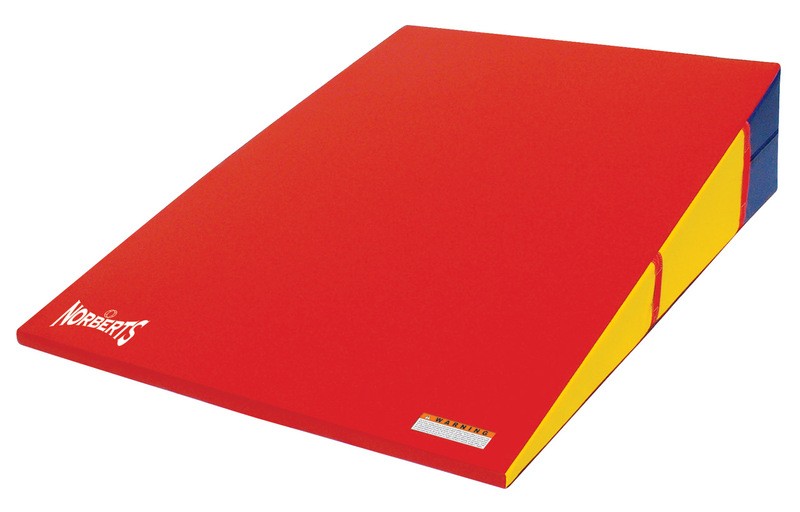 5' x 7' x 18" Deluxe Non-Folding Incline Mat - Norbert's Athletic Products, Inc.
GF-822D 5' x 7' x 18" Deluxe Non-Folding Incline Mats are filled with a single slab of 55 ILD polyurethane foam topped with a layer of firm 1.25" crosslink polyethylene foam to provide plenty of "punch back" for handsprings. Cover is made of tough 18 oz. vinyl and close with sturdy nylon zippers permitting easy foam replacement whenever necessary. All incline mats are supplied with heavy-duty 2" wide nylon handles. Click the button below to add the 5' x 7' x 18" Deluxe Non-Folding Incline Mat to your wish list.